This website is intended to be used only by those who may be interested in purchasing balloons from us or those purchasing balloons from us. U.S. customers are required to use the U.S. website located at www.bargainballoons.com and Canadian customers are required to use the Canadian website located at www.bargainballoons.ca . You agree that we cannot be held responsible for issues arising from downloading, accessing, printing, copying or viewing the content found on this website for any reason. You agree that you will not modify, try to breach security features, manipulate or copy any portion of the website or information entering the shopping cart or attempt to view contents not intended for your viewing. You agree not to attempt to overload the server, manipulate the site in anyway or cause downtime to the site. Use of the website is at your own risk. All efforts have been made to provide accurate product information and prices. We reserve the right to correct any errors and cancel orders placed where orders were placed under such errors including errors in pricing. We reserve the right to cancel any order for any reason. Orders can be cancelled by the customer only when the order has not been shipped. Otherwise we can only refund the order less shipping costs once the goods are returned to us. We reserve the right to wait for a check or money order to clear before shipping the goods. This can be up to 20 days from receiving the check or money order. In most cases we wave such right and ship the goods earlier. Orders placed by money order or check are reviewed, but not packed ahead of time. 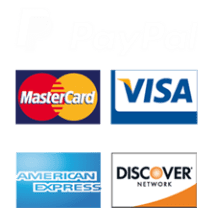 If you use the online checkout the inventory will be reserved in our system, but in some cases the goods may be sold out when the check or money order arrives. If we do not receive the money order within 10 business days the inventory will be released and available to other customers. We accept purchase orders from a limited number of organizations such as schools, hospitals and well known non profit organizations. We reserve the right to refuse any Purchase Order submitted for any reason. Purchase orders are to be placed through the checkout choosing the P.O. option at checkout (this will transfer the checkout information to us without having to enter credit card information) and then fax the P.O. on company or school letterhead to 805-357-5944 for approval. Orders are payable once the order is delivered or on reasonable terms if offered or on demand. The online inventory (quantity on hand, in stock) level is only a guide to the quantities believed to be available. The quantities available may be more or less or even zero versus what is shown online. The product is used at the customers or users own risk. In no event shall Special Buys Clothing Co Inc. be liable for incidental or consequential damages or any other claims beyond the limited recovery of the purchase price of the goods. Certain tradenames and trademarks on this website including the credit card logos and balloon brand names such as Betallic, CTI, Qualatex, Anagram, Classic Balloons and Flexmetal are not owed by us and are used only as intended to distribute and resell their product. Balloon pictures and balloon designs are also owned by their respective manufacturers. The design of the website including all web design and images and logos not owned by other companies are the property of Special Buys Clothing Company Inc. and cannot be copied or used without permission.